LCK Consulting was founded in 2003 by Lauren Candela-Katz. 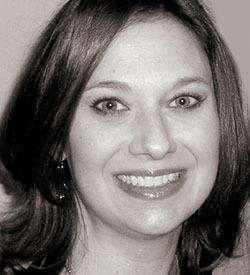 Lauren is an organizational consultant, facilitator and speaker. She has worked with small to large organizations for 25 years. Her experience as senior leadership instilled an understanding of management and organizational development skills as a valuable contribution to social change. Lauren’s mission is to coach organizations how to cultivate individual and organizational growth and performance to fulfill their mission for lasting impact. LCK Consulting is a consulting and coaching firm dedicated to advancing leadership, relationships, individual growth and organizational development. LCK Consulting services impact employee productivity, job satisfaction, personal fulfillment and organizational effectiveness. Her framework is a systems-based approach utilizing the macro principals of social work for individuals and organizations in the greater context of a living community – the organization. Lauren founded LCK Consulting with a passion for strengthening individual and organizational growth with the belief that this inner work leads to greater social impact on those around us, and in our community. 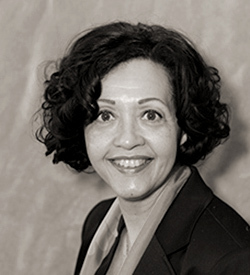 Donna Banks has extensive experience in corporate and non-profit organizations in communications and marketing. From her work as an Executive for Reader’s Digest Magazine and StoryCorps to her work with Guiding Eyes for the Blind and volunteer positions with non-profit organizations, Donna has demonstrated a passion for effective communication and great storytelling. Whether the aim is to attract consumers or funders, Donna specializes in creating compelling content that tells the story of the organization, its mission, and the impact it has on the people it serves. Donna works with LCK Consulting to assist organizations with their communication needs and to develop grant proposals. Donna is an active advocate of organ and tissue donation. She serves on the Board of the Eye-Bank for Sight Restoration where she co-chaired two of the most successful fundraisers and helped conceive a public service ad campaign that resulted in an increase in eye donations. She sat on the boards of OPTN/UNOS, the organization that manages the nation’s organ transplant system, and Donate Life America. She was also a member of the National Kidney Foundation’s Executive Committee of the National Donor Family Council and the Public Education Committee. Donna received her Bachelor’s degree from Goucher College and will graduate from the cutting-edge Leadership Westchester program in June 2015.